The bottle oven's firing chamber was filled (placed, or set) with pottery which had been placed for protection in saggars. The entrance doorway to the firing chamber, called the wicket, was built up and sealed, forming the clammins. The temperature inside the firing chamber was raised to over 1000C to fire the pottery. Coal or oil was used as the fuel. After the peak firing conditions of temperature and 'soak' had been achieved, the oven was allowed to cool. The clammins was broken down and the fired pottery taken out. The whole process would then start all over again. The process of firing an oven was extremely inefficient. It was wasteful of fuel and other resources. It was also laborious, dangerous and a serious danger to health. The person responsible for the whole process was the 'fireman'. The single most important part of the potting process is the biscuit firing. It is here that the pottery body mixed by the potter, according to a recipe, undergoes its greatest test - the ability to withstand ﬁre and to emerge from it in the form of sound, useful, practical or beautiful, ceramic products. Prior to firing much time and effort will have been spent on creating a mixture of materials which are relatively easily handled and fashioned into a ﬁnal shape. That mixture, however, is of no commercial importance unless it can get through the oven with low wastage, and result in products possessing the properties intended by the potter. It is at this stage of the production cycle that the painstaking care used in controlling raw materials pays dividends, as even minor variations in certain of the materials can often cause ruinous kiln losses. 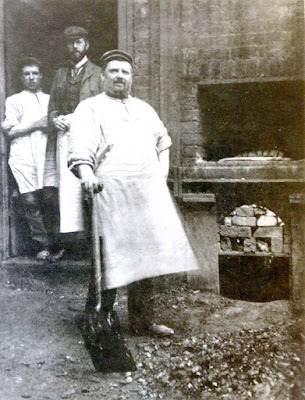 The process of firing a bottle oven was extremely inefficient. It was wasteful of fuel and other resources. It was also laborious, dangerous and a serious health hazard. "No two ovens work alike. There is nothing extraordinary in this; the same thing occurs with machines and engines; two locomotive drivers on sister engines, if changed, will not get the same results out of each other's engines, because they are not acquainted with their peculiarities. So is it with ovens. Ovens built from the same plans vary in the treatment they require, and the best results will only be obtained by the man who has studied their idiosyncrasies. Accidents happen, bungs move, trials can neither be seen nor drawn; experience only can then guide the fireman. The colour of the interior of the oven, the appearance of the saggars and the bricks in the flues, will all be guides for him. It is rare to fire an oven without noticing something unusual, and the successful man is he who notices these little things, and knows from past experience what is the right thing to do, and does it at once. As in so many other things an ounce of experience is worth pounds of theory, though the ideal should be the two combined. The mere getting to a certain fixed heat at the places where the trials are is but the A B C of firing, which those who put their faith on trials alone would soon find out to their cost." 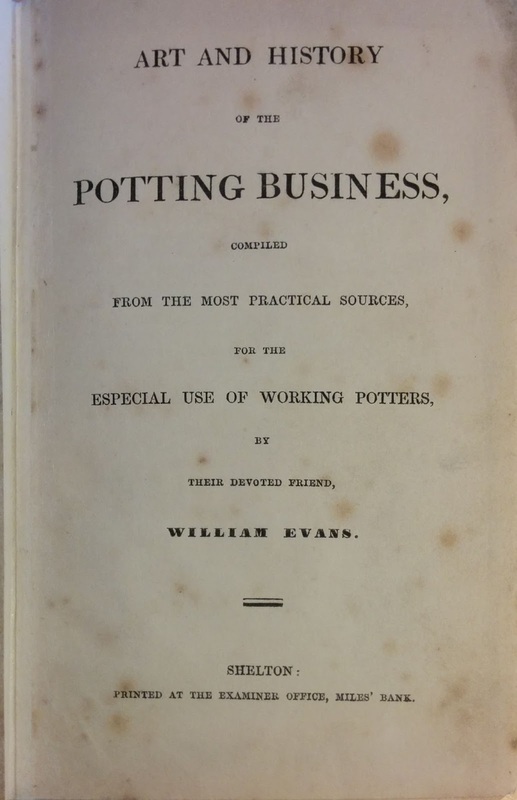 Extracts from the 'Art and History of the Potting business, compiled from the most practical of sources for the especial use of working potters by their devoted friend William Evans. Shelton: printed at the Examiner Office, Mile's Bank. 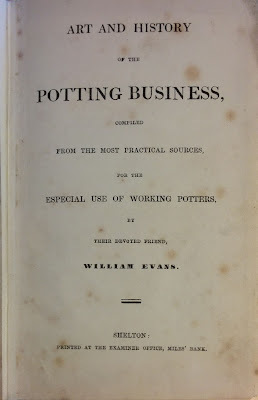 THE potters' oven for biscuit is usually larger than that for glaze; and is, in form, a cylinder ten or twelve feet high, and from ten to fifteen feet in diameter, surmounted by a dome from three to five feet in height, in whose centre is an aperture about two feet in diameter. WHEN the oven is filled, and all arranged, the door-way is built up with bricks, and plastered over with mud, and short iron bars are hooked into an iron frame that goes along the edge of the door-way, and is connected with two or three ranges of very strong hooking-pieces of iron, that go round, like hoops, one at the commencement of the dome, and two others on the cylinder, and which guards are necessary to prevent the high temperature of the whole causing the cylinder to crack or bilge out. 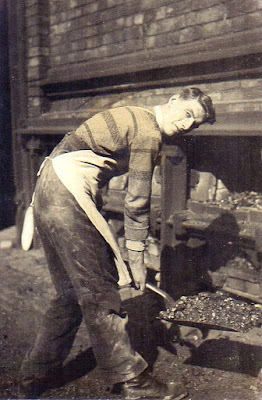 WHEN the baking is completed, the mouths are drawn (the fuel is extracted) as quickly as possible; the whole is left to cool for several hours, (the entrance is opened,) the clammins are taken down, the saggars are emptied as quickly as possible into baskets, and carried into the sorting room, where they are carefully examined, and by sounds tried whether fit for further processes. 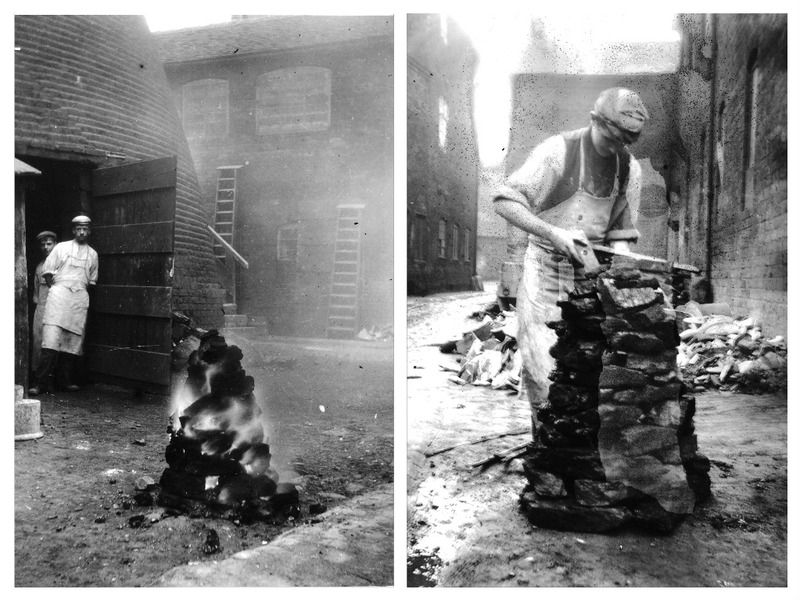 Extract from the Twyfords 1929 manufacturing film showing the firing of earthenware sanitaryware in an updraught bottle oven and fireclay in a muffle kiln. Also scenes from dipping and warehousing inspection. “Temperature is a measure of the intensity of heat. The firing of ceramic wares involves both time and temperature. The ware must “soak” for a deﬁnite period of time at the high temperature of the kiln in order to allow its interior to approach the same temperature as the surface. The more thick-walled the piece, the longer this soaking period must be. For this reason a bung of plates packed in bedding material cannot be ﬁred as quickly as a stack which has not been bedded. In order to check this time/temperature effect it is customary to use a ‘pyroscope’. These may be pyrometric cones or Bullers Rings. Pyrometric cones are made from a series of controlled mixes of various minerals. The cones, mounted in a small pat of ﬁre clay, are placed in such a way that they may be observed through peep holes in the side wall of the kiln. Originally placed at an angle 82 degrees from the horizontal, a cone will slowly bend down under continued heat. When it has bent so that its tip is on the same horizontal plane as the base, the cone is said to be 'down.' Intermediate stages are expressed by referring to the positions of the hour hand of a clock. Thus, 'Cone 10 at 3 o’clock' means that Cone 10 has slumped so that the tip is about half-way down to the base. The fusion point of any cone depends upon the rate at which the cone is heated. Different types of whiteware products are biscuit fired at temperatures ranging from about Cone 2 to Cone 04. And glazes are matured at temperatures from Cone 01 to Cone 10, or lower." When we visited this factory in July and August 1976, it supported three oil-fired Wilkinson downdraught stack ovens. They were numbered 6, 7 and 8. At the time, Number 8 was empty, Number 7 had been placed (set-in, or filled) and Number 6 was being fired. 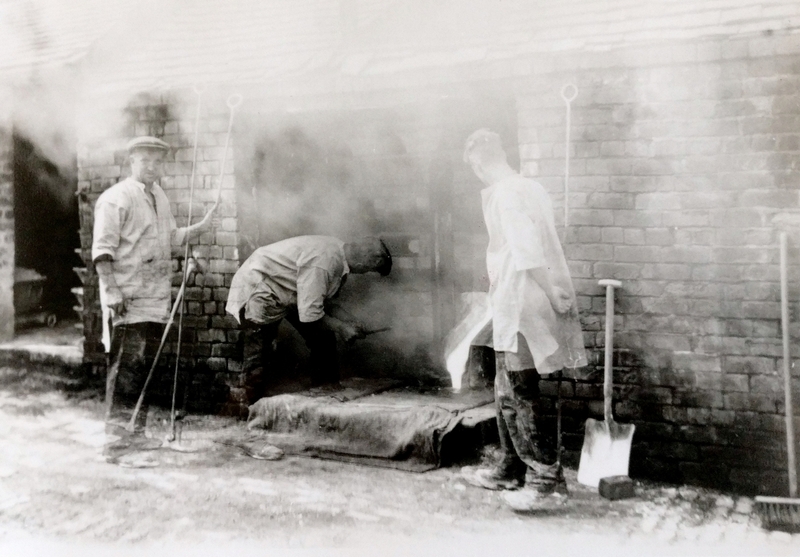 The products being fired were refractory 'bats' or kiln furniture, used in the industry. We were privileged to have been there and able to take just a few photos of the firing of No.6. Oven No.7 was fired sometime later and was the last oven to be fired at the factory before manufacture was transferred to its new site in the town. We were told that a ceremonial flaming torch was to be taken from the fire in oven No.7 to the new gas kiln at the new site. The ordeal by fire is of the greatest importance in any pottery manufacture. Famous factories have closed because the body formula permitted such a narrow range of safety in firing that only two or three unsuccessfully fired ovens meant utter ruin to the master potter. Today, big factories fire their products in continuous tunnel kilns, carefully controlled by instruments and safety devices, but in earlier times intermittently fired ovens were used. In North Staffordshire, the English Potteries, these ovens were surrounded by a brick hovel to protect the oven from the weather and to enable the fireman to control the draught to the fires: because of their characteristic shape they are known as 'bottle ovens'. Round ovens of one type or another were universally used for firing pottery since very early times: the basic structure is a round oven or kiln with firemouths around the outside whose flues emerge inside the oven to carry the flames, to heat the load, or 'setting' of pottery. When larger ovens were built and higher temperatures required (for example, in stoneware production) the control of the draught of air became more important, so a hovel was built above the oven to increase the draught as in a chimney; various holes were left in the walls of the roof, or 'crown' of the oven, through which the air was controlled by dampers. 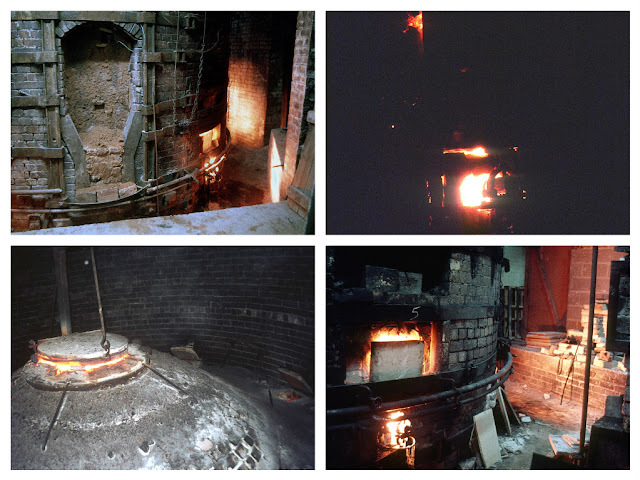 It was in 1960 that the last firing of a bottle oven on the Spode Works [in Stoke] took place; it was a china biscuit oven that is, the bone china clayware was fired to about 1260°C. to the 'biscuit' stage and the four ovens in use up until then were replaced with a gas-fired tunnel kiln. In order to explain the firing process, I shall describe first the structure of the up-draught oven secondly, the 'setting in' of the oven with saggars, including a note on 'placing' the ware; thirdly, the firing schedule: this account will relate to the firing of the No.4 oven, the 'Big' Oven, in January 1951. This essay was later published in 2009. Below is the essay as published. “The ordeal by fire is of the greatest importance in any pottery manufacture. Pottery factories have closed because the body formula permitted such a narrow range of safety in firing that it took only two or three unsuccessfully fired ovens to cause bankruptcy. WIKIPEDIA - The author of this "The Potteries Bottle Oven" site does not add any information, comments, or edits to Wikipedia.